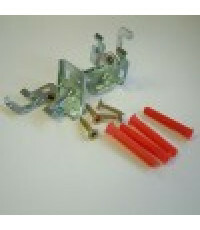 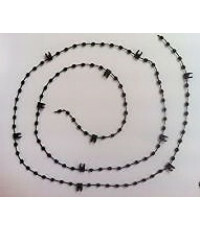 At Blinds4lessDirect we offer a wide selection of spare parts for your window blinds. 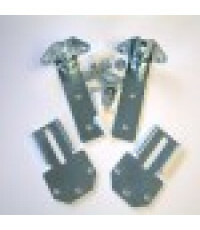 Whether you are looking for brackets, weights or headrails we can supply them. 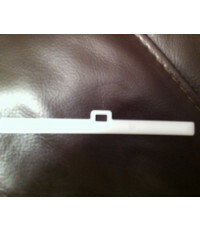 Our vertical blind parts include stirling headrails in white or brown and in both 89mm and 127mm, Curved headrails in white for 89mm Slats / Louvres. 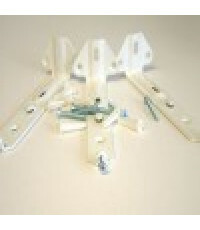 Our Roller blind Parts include brackets and mechanisms, Venetian and wooden venetian brackets and roman and pleated brackets are also available. 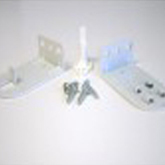 A variety of 3 different Child safety brackets are also available. 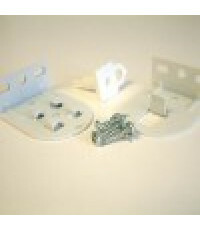 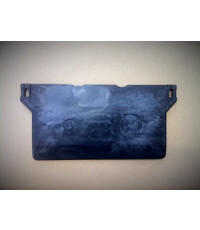 All of these parts / components are offered at fantastically low prices. 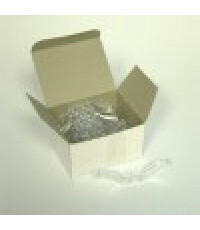 N.B There are no samples available for blind components. 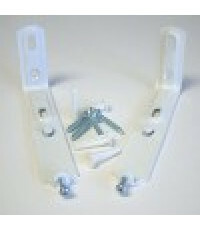 We offer 2 types of child safety brackets which can be used on our vertical, Roller, and roman blinds, and we offer a cleat hook child safety bracket which can be used with the venetian, Wooden venetian and pleated blinds. 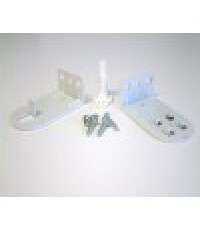 All of these child safety devises can be despatctched within 24 hours of order. 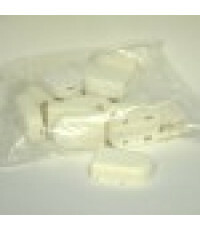 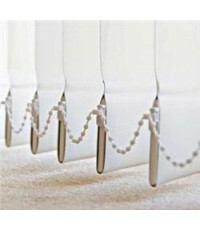 Blinds4lessDirect are pleased to offer vertical blind bottom weights which both weigh down the vertical slat but also are used to connect to the other slats using the bottom chain which we also supply. 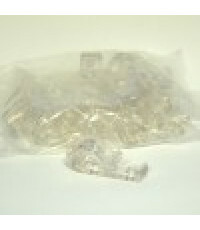 The weights are available in both 89mm and 127mm and start from only 50p. 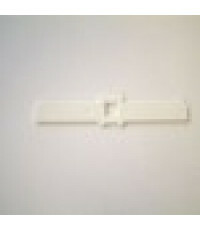 Blinds4lessDirect can supply a full range of vertical brackets in either white or brown to fit either the wide body headrail (45mm) or the slimline headrail (30mm). 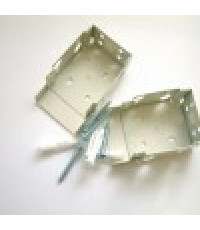 The brackets are also available to suit 89mm slats or 127mm slats. 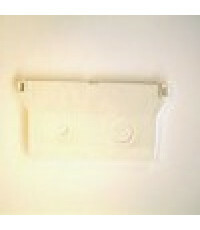 As a tip people often purchase the 127mm face or shallow face bracket so that the 89mm louvres miss window handles. 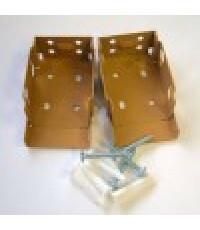 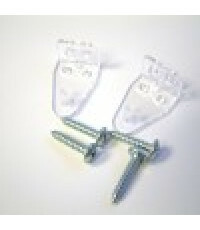 Brackets are available in either face or swallow face and top fix brackets are also available. 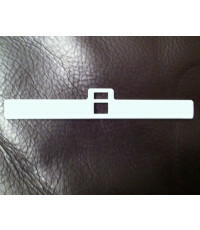 Colour options are white or brown. 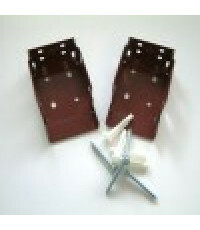 These vertical blind hangers are suitable for all our headrails and Hillarys blinds headrails and will fit most offer headrails. 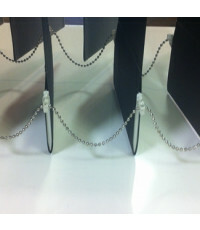 They are available in 89mm and 127mm in white. 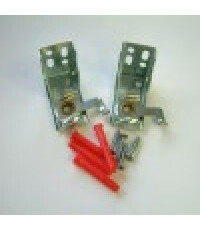 Blinds4less direct also supply components such as Vertical bottom chain from only 12p per link, remember 2 links are required per Louvre, available for both 89mm and 127mm and in White and Black, Beige and now Metal. 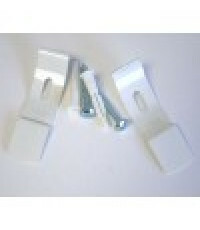 Metal Roller blind brackets suitable for Hillarys Roller blinds. 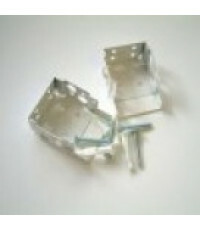 N.B Only a small amount of White 36mm brackets are available and all 25mm have now been sold. 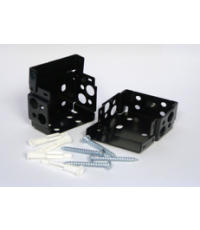 There are plenty of brown 36mm and white 44mm brackets available. 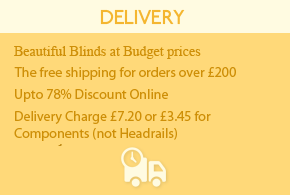 Blinds4LessDirect are able to supply spare parts for 15, 25, 35 and 50mm aluminium venetian blinds, and also for 25mm, 35mm and 50mm Wooden Venetians and faux Wood blinds. 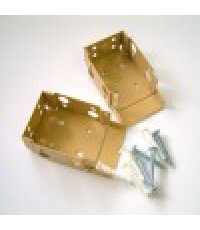 N.B No samples are available for components.